The Brewers have now won four out of five immediately after dropping six straight. Crazy how momentum can change so fast (and also crazy how much better the Brewers play at home than on the road...). - The Brewers gained a game on the Cubs, Cardinals and Astros today. - Villanueva keeps the starters winning streak alive at three. Suppan, Bush and now Carlos have won three straight after no starter besides Sheets had won a game since early April. Villanueva tossed six innings and gave up three runs. - Gagne got the save. It wasn't perfect (a hit and a walk), but he got the job done. - Torres pitched two scoreless innings and continues to be a valuable piece of the bullpen. - The Brewers collected 10 hits. Kendall was the only position player in the line-up without a hit. Michael Hunt says hitting is contagious. - Braun stayed hot, going two for four and collecting two RBIs. His average is up to .294. - Hall hit another home run and somehow continues to be a relatively productive .200 hitter. - Gallardo had successful knee surgery. He told Brian Anderson he'll be back pitching with the team in September. I hope so. That would mean the Brewers were playing meaningful games still and they could definitely use Yo in the playoffs. - Chris Capuano is headed for Tommy John surgery after experiencing discomfort in his rehab bid. Cappy may not ever pitch for Milwaukee again as his comeback will take at least a year and the Brewers will all but certainly not offer him arbitration. More HERE. - Turnbow's Nashville debut was less than stellar. - Pitching prospect Jeremy Jeffress is set to return from his 50-game suspension. He will pitch for Brevard County. - Second base prospect Eric Farris joined West Virginia. - Angel Salome is the Brewers' prospect of the week on Sports Bubbler. - Brewers PA announcer Robb Edwards had a heart attack today. He was set to have a bypass procedure done. Hopefully he gets well soon. - Corey Hart is clutch. - Dave Begel tells fans to lay off Yost on OnMilwaukee.com. - Wisconsin Sports says the Brewers should push back Ben Sheets' start a day so they can showcase him against the Red Sox in Boston. - The Brew Town Beat provides links to archived shows of Ryan Braun on WKTI. 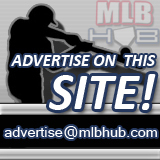 - Jim Powell links to Suppan and Yost interviews. - Manny Ramirez could get his 500th HR against the Brewers this weekend. How long do you think he'll stand to admire his 500th? - Former Brewer Claudio Vargas was called up by the Mets today. - Who's more upset about the possibility (perhaps probability now?) of Jim Edmonds ending up on the northside? Cubs fans or Cardinals fans? Either way, it's pretty funny. - Straight from the AARP Bulletin (can't make this up...), 100-year-old Cubs fans still hoping for that World Series win. Hat tip to Deadspin. - LaRussa was surprised about the Molina incident last night. Yadier should expect a suspension from the commissioner's office soon. He went well over the line. - Former Brewer Gabe Gross hit a walk-off single against the Yankees off Rivera to send the Rays to the top of the AL East. I always liked Gabe. I was happy to see him on Baseball Tonight. And he was even interviewed later.